This perspective has kept Josiah and countless other missionaries over the years from fruitful ministry. Support raising is consistently one of the biggest obstacles keeping laborers from the field, and it’s no different for the Chinese church. Because of a fear or misunderstanding of support raising, many would-be missionaries have either not obeyed God’s call or resigned themselves to live in poverty. At the same time, God has greatly blessed China over the past decade with unprecedented economic growth. Resources now exist within the Chinese church to send out missionaries to the unreached like never before. But connecting these resources to God’s mission will require a cultural shift in perspective within the Chinese church—in both givers and missionaries. Support Raising Solutions (SRS) is a ministry of the CMM dedicated to equipping ministry workers in personal support raising. In the past 10 years, SRS has equipped 15,000 ministry workers from more than a thousand organizations to raise their own support. In conjunction with our CMM mobilization team in China, SRS recently launched its first support raising training in the country. Fully translated into Chinese, the SRS Bootcamp training covers the biblical basis for support raising, as well as practical, hands-on ways to begin building and cultivating a support team. Josiah was one of 36 participants in the training, most of whom are involved in cross-cultural ministry to the unreached. After five full days of training together, many of them shared how God had used this first-of-its-kind training in China to shift their perspective about support raising. 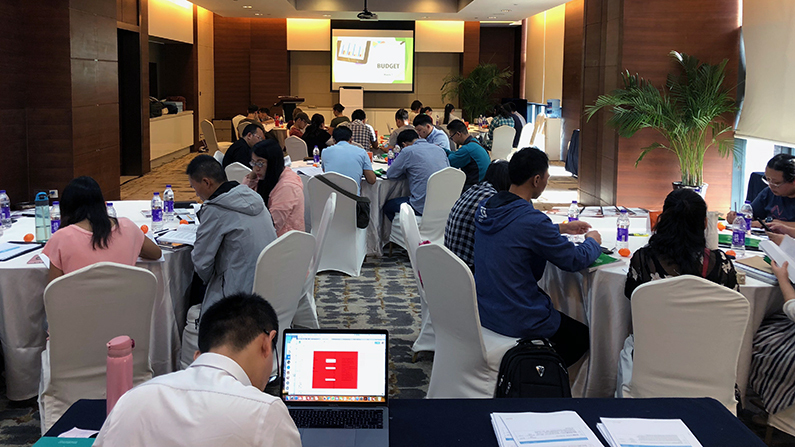 Following the training, the CMM and SRS teams received three more invitations to hold SRS Bootcamp trainings in other cities throughout China. In order for nationally led mission movements to gain traction and be sustainable in China and elsewhere, it’s important that the church work together to embrace biblical funding principles that translate across cultures. Pray that God will use the momentum and good favor from the first SRS Bootcamp in China to see a movement of fully funded missionaries to the unreached, sent out by individuals and churches who are committed to financially partnering in God’s kingdom work.